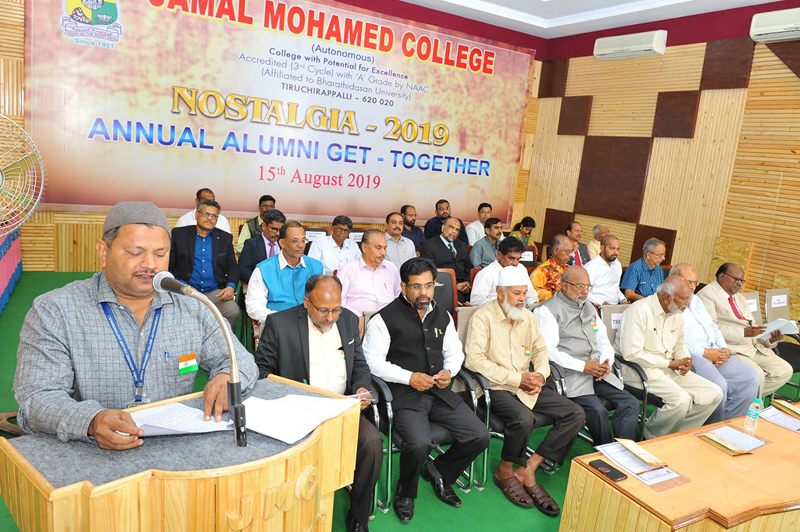 To provide an association through which the Alumni of Jamal Mohamed College around the globe, staff members and students of the college can interact with each other for mutual benefit and to serve as a link between the management and the former students. To facilitate and encourage alumni and philanthropists to contribute towards improvement in the status of the College in areas pertaining to academics, infrastructure, industry interactions and any other area that the alumni and the College feel appropriate. Helping the students past and present with placement opportunities. Providing financial assistance to the economically backward students. Organising interactive sessions with the students by the visiting alumni like businessmen, professionals, officials, researchers and sportspersons to share their expertise.